An offset account is a savings or transaction account linked to an eligible home or investment loan. It should operate the same as any other savings or transaction account, ie with a bank card for electronic transactions/transfers and the ability to withdraw money at ATMs etc. Offset accounts are usually only available for variable home loan accounts. A small number of lenders allow an offset account to be linked to a fixed rate but there are usually restrictions around them. If you wish to utilise an offset account but like the security of a fixed interest rate your option may be to split your loan with a fixed portion and the balance as variable. Check with us first! Money in your account is ‘offset’ against your loan balance. In essence, it is as if you have paid the balance of the offset amount off your home loan. In return, this will reduce the mortgage interest, eg if you had a $300,000 loan and $20,000 in your offset account you will only be charged interest on $280,000. 100% offset accounts are the most common form of accounts. What’s better? An offset or savings account? 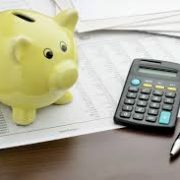 The interest earned on a savings account will usually be less than lenders charge in interest for home loans, plus tax will be payable on interest earned on your savings. By comparison an offset account could potentially save you thousands over the life of a loan. Of course an offset account is not the only feature that may be packaged with your home loan – there is no ‘one size fits all’ solution. Ultimately the features that are included with YOUR home loan should be those that are suitable for you and your individual circumstances. How should an offset account be best used? Place as much savings/money into your offset account as possible. The best way to do this is to use the offset account as your everyday banking account. Have your salary or wages paid directly into your account to ensure that you have the maximum amount of funds in the account to offset interest charges. You will still have immediate access to your money as with any normal account. Pay for all your monthly expenses on your credit card within the interest free period and then pay the full balance before the due date. This way you will gain the benefit of free funds from the bank to pay your bills while your money remains in your offset account reducing your interest bill. This only works if you pay the credit card balance within the interest free period. If you don’t, the interest payable on your credit card is significantly higher than the interest saving of funds in your offset account. The idea is that you are also using the account to accumulate your savings. You need to be disciplined to make sure your savings grow over time. The best way to do this is to establish a budget and monitor your actual expenditure against it. As you see your savings and the balance grow it is often tempting to spend it – so be careful! • some lenders allow you to set up two offset accounts. You could use one for everyday living and the other for savings. If using this approach remember to set aside your savings first when you are paid forcing you to be more disciplined with your expenditure. Call the office if you would like a chat. • Be realistic about what you can afford to borrow and repay. • Understand that borrowing calculators only give you approximations. Obtain all the facts. • Planning to renovate or have kids? Check your plans aren’t going to stretch your budget too far. • Cover your income and mortgage with insurance in case of illness, death and disability as well as unemployment. • Reconsider the kind of property you want to buy if your budget looks too tight. • Borrow a loan amount that allows you to save money for emergencies. • Don’t rely on what the figures say you can borrow – ensure you can make the repayments if interest rates rise. Switching from principal and interest payments to interest only means you have a lot less to pay each month but this should only be a temporary measure – you still need to repay the principal. You should resume regular repayments as soon as you can. For example, on a $350,000 loan over a 30 year term at 4.50% the repayments on a principal and interest loan are $1,773. On an interest only loan the repayments are $1,312 – saving $461 per month. Remember if you choose an interest only loan you will not be paying any principal off your home, so don’t leave it too long before you sort out your budget and get back to paying your principal as well. Most fixed rates have factored in future interest rate rises. However, if you need peace of mind, some help with budgeting and the assurance of knowing your actual monthly repayments for a period of time, then this option may suit you. There are some great, very low 3 and 5 year interest rates at the moment. Call us for our best rates. If you have equity in your home you can apply for a line of credit (LOC) to help get you through a period of financial stress. For example, if your home is valued at $500,000 and your debt is $300,000, you have equity available that can be borrowed against for other uses provided you can still service the repayments. This works by using the line of credit to pay the shortfall of your mortgage repayment. The interest will be capitalised in the LOC until you start repaying the debt. Be aware that this option does require a degree of discipline to ensure your current equity is not ‘frittered away’ on nonessential expenditure. If you’re ahead on your loan repayments why don’t you take a repayment holiday? Some institutions allow you a period of time where you do not have to pay your usual monthly mortgage payment if you are ahead on your repayments. This money could be better used to pay a consumer debt, maxed out credit cards or unexpected bills. It could also be handy if you temporarily lose your job. Remember, these options are all only possible considerations. Decisions about a suitable option for your individual circumstances should be made in consultation with your finance specialist. If you are suffering mortgage stress – or think you may be at risk – we are here to help. We can take a look at your personal situation and suggest options. Family…to help or not to help? Do you have children trying to get into the property market? Are your children wondering if it will ever be possible to buy a property in today’s market? Ex Reserve Bank governor Glenn Stevens stated that the only way for young people to get onto the property ladder in Australia’s most heated market – Sydney – is with the help of their parents. He’s not alone. A survey we conducted last year found that nearly 30% of parents were worried whether their children would ever be able to buy a home. Most concerning, in the same survey, 66% of respondents claimed that their biggest financial worry was whether they would have enough money in retirement. There is a common belief that baby boomers are reaping the rewards of a lifetime of substantial capital growth in the property market. However, they are also the first generation in history to face a ‘third age’ – expected to have approximately 20+ years of healthy life after retirement that requires funding. What do we do when our children need assistance to get into the property market when as parents we are not necessarily in a financial position to help them? • acting as a guarantor (although the drawbacks need to be considered here). In 2016, more than one third of 18-34 year olds still lived with their parents. If the purpose is to allow the adult children to save a deposit then parents need to make sure it happens. Failure to save will place pressure on both parents and children with neither benefiting. Be aware that a ‘gift’ is not repayable. If you are in a position to do this, it’s a great boost for your children. Most banks will require parents to declare there is no need for these funds to be repaid. Parents receiving a Centrelink pension or allowance also need to ensure that there are no adverse consequences of gifting. Parents who have available funds today but with future needs may want to consider a supplemental loan to their children at low or no interest. This way you are able to help them NOW but the money will be repaid for your future use. For any such family arrangement it is always recommended the loan amount and the terms of the arrangement be formalised in a legally binding document. As an alternative to a loan, parents may choose to buy a home WITH their children. This will give the children a foot on the property ladder while providing the parents with an investment property. In this scenario it is common practice for the parties to be ‘tenants in common’ rather than ‘joint tenants’ and their share of the property be allocated according to serviceability. Some lenders have a loan product known as a family pledge. Parents or other family members are able to use equity in their own property as additional security. This product is aimed at home buyers and investors who have the ability to repay the loan but lack sufficient funds to meet the deposit and other upfront costs. 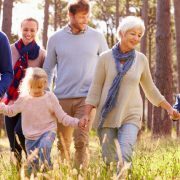 Regardless of the preferred option, it is imperative that all family finance scenarios be carefully considered in terms of both current AND future needs of both parties. If you think you are not or will not be in a position to help your children then we need to talk. We will be able to help assess your ability to start investing now so that you may be in a financial position later to help your children. Securing your financial future first is a step in the right direction. http://www.indigofinance.com.au/wp-content/uploads/2017/05/IF-Article-17-05-17.jpg 427 640 IndigoFinance http://www.indigofinance.com.au/wp-content/uploads/2017/01/indigo-finance-logo.png IndigoFinance2017-05-17 20:39:592017-05-17 20:39:59Family...to help or not to help? 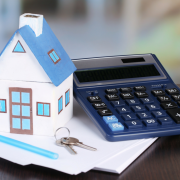 The Federal Budget is looming AND there are rumoured initiatives to help first home buyers (FHBs) into the property market. So if you – or your children – are potential FHB’s it might pay to stay tuned…. Housing affordability has been a hot topic as a barrier to entry into the Australian property market. 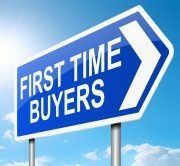 Despite this, the younger generation ARE starting to enter the property market in a variety of ways – as singles, couples, rent investors, in co-ownership and also with help from family. So if extra government initiatives are possibly in the wings what NEW opportunities might this open up for potential FHBs? Will you be ready to act? One of the biggest hurdles for many FHBs is the deposit – on average it takes a working couple 4 years to save 20% deposit1. With price increases in some areas the required deposit could increase faster than it can be saved! Some lenders will allow you to enter into a home loan with less than 20% however lenders mortgage insurance (LMI) will then apply. LMI covers the lender but is paid by the purchaser. A one-off premium can potentially run into tens of thousands of dollars and is rolled into the mortgage by the lender. The dilemma for many FHBs is whether paying LMI and getting into the market NOW is more beneficial than waiting and watching prices increase. That’s a discussion that is worth having with us – your finance specialist. Are there alternatives to 4 years of saving? In 2010 the average helping hand from parents was $23,000 – today it is more than $80,0002. In fact the bank of Mum and Dad is one of the fastest growing finance sources in Australia! The percentage of FHBs receiving help from family to enter the property market has more than doubled since the 1970s. But parents don’t necessarily have to contribute the whole deposit. If FHBs don’t have quite enough now to avoid LMI family may be able to assist with a guarantor loan for the shortfall to 20% and/or other upfront costs. Of course not every family is in a position to help nor should we enter into home ownership seeing it as a short term goal. Saving the deposit is just the start – home ownership will probably require trimming expenses and making sacrifices for the foreseeable future. If added incentives become a reality it’s certainly worth doing the sums to see if this may assist you to take action sooner. • Your FIRST property doesn’t need to be your dream home. Perhaps consider entering the market with a smaller, cheaper property? If you rent it out while continuing to live at home and save you may find your savings plus equity over time will assist you towards your dream home. • Consider co-ownership with family or friends now with a view to going it alone further down the track. The most important step is to DO YOUR HOMEWORK. As your finance specialist we can help you explore any new initiatives and options that may be suitable to YOU and your individual circumstances. Is it a good time to start a discussion about possibly helping the kids? What you need to know about total and permanent disability insurance. If you’re a homeowner or are looking to purchase property, it is important to consider not only how you would meet your basic financial commitments, but how you would maintain your quality of life should you or your loved ones become gravely ill or suffer a serious injury. Protection for such life events can come in many forms, from many providers and with relative affordability. But choosing the right type of protection and understanding what you’re covered for can be complex and confusing. All insurance provides us with a financial safety net. The type(s) of insurance required for our needs requires some careful consideration to ensure coverage in a variety of scenarios. Total and permanent disability insurance – what does it mean? A serious injury or illness can make it difficult or impossible for you to continue to work. If this happens, you will need to find a way to support yourself and your family for life. Total and permanent disability cover (TPD) is almost always purchased together with life cover and can provide a financial safety net for such an unforeseen event. TPD insurance helps cover the costs of rehabilitation, debt repayments and the future cost of living. Each insurer will have different definitions of what is and isn’t considered to be totally and permanently disabled. Being off work for a year is NOT ‘permanently disabled’. You need to ask lots of questions and read the fine print so you know exactly how your policy defines your cover. • How much income you and your family will need to live if you can’t work for a while or forever! Why do I need life insurance and/or TPD insurance? Any choice of cover depends entirely on an individual’s circumstances. Term life insurance is probably the most economical form of protection for your family in the event of your death. TPD insurance covers serious and permanent disablement but DOES NOT cover temporary disabilities or many traumas – these are best covered by income protection and trauma policies. Cases of total and permanent disablement are relatively small in comparison to other conditions. If you have limited dollars to spend on insurance you will need to weigh up whether to spend it on this form of cover. As we accumulate liabilities and have dependants our need for insurance increases. But as we approach retirement we are more likely to have accumulated assets, no liabilities and our children have probably left home. The need for life or permanent disability insurance is then reduced. Insurance needs will vary over time and should be reviewed at least annually. Usually, only ONE TPD benefit is ever payable to an individual and payment of a claim for TPD may void your death cover. After a payout you may become uninsurable and no longer able to obtain life, TPD, trauma or income protection insurance covers from any insurer. It is important to ensure you have sufficient cover to enable you to live out your remaining life on the proceeds of the claim. Beware of so called ‘cheap’ offers of insurance. Small premiums usually mean small amounts of cover. In the event of your death or an accident the cover may be grossly inadequate to meet your family’s needs. Fortunately, there are providers who have built products specifically for people in your situation. If you are considering investing in protection and would like more information, calling our office is a good place to start. 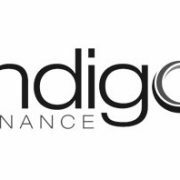 http://www.indigofinance.com.au/wp-content/uploads/2017/03/default-v2.jpg 198 300 IndigoFinance http://www.indigofinance.com.au/wp-content/uploads/2017/01/indigo-finance-logo.png IndigoFinance2017-05-01 20:43:442017-05-01 20:43:44Are you prepared for the unthinkable?